10 Jolts to leverage your leadership. 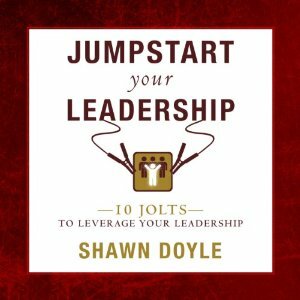 Another audiobook in the Jumpstart Series by Shawn Doyle, CSP. Are you a leader? Would you like to be a better leader? Would you like to be a leader in the future? Then this book is for you. In this book Shawn Doyle will show you the tools tips and techniques for becoming the kind of leader that other people want to follow. Jumpstart Your Leadership will share with you the 10 key principles of leveraging your leadership. Mission and vision– the important and compelling reasons why every organization large and small needs to have a mission and vision statement in order to lead effectively. Strategic planning– strategic planning is absolutely critical to the long-term health of an organization. However in many cases leaders are not skilled at planning short, mid-term and long-term. Shawn shows them specifically how to plan and think strategically about the future which is a core leadership competency. Hiring– hiring in many organizations is done very poorly, haphazardly and the track record of success is appalling. Shawn shows leaders how to interview and hire people effectively and shares a shocking concept about hiring people that they have probably never heard. Communication– in many organizations leaders think that they are communicating effectively-but they would be wrong. The reality is most leaders think they’re communicating effectively but when employees are asked they say they don’t feel “in the loop” or that the communication is not effective in any way. So why is there two different versions of effective communication? This chapter will unlock the keys to effectively communicating in a leadership role. Motivation– one of the biggest questions that Shawn gets in the classroom around the country is how can leaders motivate their employees? 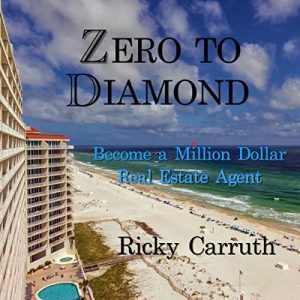 In this chapter he shares the inside secrets for getting the team motivated and only high levels of morale and team spirit. Reward– too many times in too many organizations high-performing employees feel under-appreciated overworked and not rewarded. In this chapter Shawn shares with them many of the myths about reward and how they can be shattered. He also shares the key strategies for rewarding people in order to impact of rewards and to increase people’s perception of their rewards. Accountability– far too many times managers are reluctant to hold employees accountable for the results of their work. In this section Shawn shares the key tools and techniques for holding people accountable for their work and for the results of their work. Storytelling– Shawn believes that an important competency of leadership is being able to tell stories that reinforce and help build the culture of an organization. In this section leaders will learn how to become a competent and powerful storyteller as a leader. Authenticity– many books of late have been written about the importance of authenticity and honesty. This chapter shares with leaders the importance of being “who they are” within the framework of their organization. 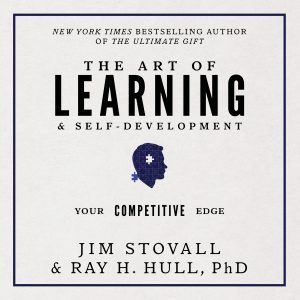 In addition to covering all of these topics, each section of the book includes a “work it” section at the end of the chapter which encourages the leader to turn the concepts that they learned into action.. This section allows people in a leadership role to create a plan for acting on the information that they just learned. This book simply and powerfully captures the key elements for being a truly effective and impactful leader in any environment. 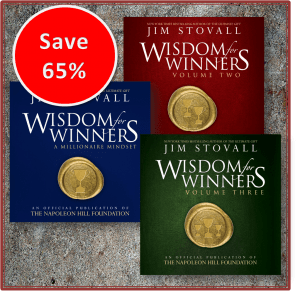 For the past 23 years Shawn Doyle has traveled the country as a speaker and trainer teaching leadership development programs to corporate America. As a result of this experience Shawn engineered a comprehensive leadership development program. This book is a summary of that program. Many leaders have commented that these concepts are life changing. Some clients include Pfizer, Comcast, Charter Media, IBM, Kraft, Microsoft, The Marines, The Ladders, and Los Alamos National Defense Laboratory.